My hand is on this church, this congregation, this people. You have believed that you are doing a new thing, but in fact it is not a new thing. It has been revealed to people who walked before you. It has been forgotten. My people have chosen to believe half-truths and lies rather than trust in revelations given to generations past. 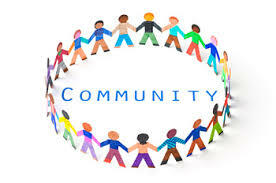 The need for community is buried deep inside each person. It was the first revelation given to man when I gave Eve to Adam that they may not be alone. For so long people have not walked in this, and have not trusted this revelation. This has allowed the orphan spirit to take hold. Believe the revelation. Believe that you are made for community. Believe that you were made for each other. This is not something new, the truth is inside each of you. Grasp hold of the truth and teach it to generations to come that I might reveal new mysteries to them. There is nothing I will not reveal to my people. Seek to open your eyes, to see and to hear. Do not be blinded by others or by ignorance. Learn from those who have gone before. Honour those who have walked with me. Their legacy belongs to you. Build on it and leave a bigger legacy for your children.